Most of our DUI clients are concerned about the two most notable penalties: jail time and driver's license suspensions. However, before you take that next drink and get behind the wheel of a car, you should consider the full range of consequences applicable for those convicted of DUI. For a list of statutorily imposed DUI penalties, please visit our PA DUI Penalties page. 1. Jail Time: Mandatory minimum jail sentences typically range from 48-72 hours on a 1st Offense, 5-90 days on a 2nd Offense, and 10 days to 1-year on a 3rd or subsequent offense. Jail sentences can be as long as 5-years or more if the DUI caused serious bodily injury or death. 2. Electronic Monitoring or Alternative Housing: On some cases, you may be eligible for House Arrest or Alternative Housing instead of jail. If placed on house arrest, you will have to wear an electronic ankle bracelet, and may only be allowed to leave your home for work, educational, or medical reasons. With Alternative Housing, you will be housed in a secure facility with other defendants, subject to strict curfew and residency guidelines. 3. Driver's License Suspension: The length can vary depending on various factors, including whether or not you are accepted into ARD, whether or not you refused blood or breath testing, or whether you were convicted of other serious traffic offenses. 4. Fines, Court Costs and Restitution: The lowest mandatory fine for a DUI offense is $300, and the fines can be imposed up to $5,000. Court costs will be imposed separately and can exceed $1,000. ARD fines and costs typically approach $2,000. Restitution can be imposed for any property damage, medical bills for injured persons, and crime lab fees for BAC testing. 5. Increased Car Insurance or Dropped Coverage: Your insurance company may access your driving history, and may consider dropping coverage or increasing your premiums after one or more DUI offenses. Repeat DUI offenders may find themselves categorized in the "high risk pool," which can lead to even higher premiums. 6. Increased Life and Health Insurance Premiums: DUI offenders have an increased likelihood of being involved in a fatal automobile accident than those who have avoided DUI charges in their lifetime. Insurance companies know this, and may deny coverage, or offer you coverage with very high premiums. 7. Ignition Interlock Devices: To regain your license after a conviction, you may be required to have an ignition interlock device installed in your vehicle. Not only will you have to pay the installation costs, but will have to submit a breath sample every time you want to drive your vehicle. 8. Impact on Employment: Depending on your occupation and your employer's position regarding criminal offenses, you may lose your job. If you apply for a job in the future, the application may ask you if you have ever been charged with or convicted of a misdemeanor offense. A DUI is a misdemeanor offense. 9. Criminal Record & Driving Record: While DUI charges can be expunged from your criminal record upon completion of the ARD program, a record of you entering the program will appear on your driving record for a period of 10 years. A DUI conviction (i.e. guilty plea) will remain on your criminal history permanently. 10. Commercial Driver's Licenses: If you have a CDL, your license will be suspended for 1 year on a 1st DUI, even if you enter the ARD program. If you are convicted of a 2nd DUI, you will lose your CDL permanently. Please keep in mind that the minimum BAC threshold for a driver operating a commercial vehicle is .04%. 11. Limit on Ability to Rent Cars: Many major rental car companies will not offer rentals to anyone with a prior DUI offense. 12. Required DUI Alcohol Highway Safety School: You will be required to complete DUI Alcohol Highway Safety School, and pay for the costs of the program. 13. Required Court Reporting Network (CRN) Evaluation: You will be required to complete a CRN evaluation, and pay for the costs of the evaluation. 14. Drug and Alcohol Evaluation and Treatment: If deemed necessary, you may have to undergo a drug and alcohol evaluation, and comply with any treatment recommendations, at your expense. 15. Community Service: As part of your ARD offer, or as punishment upon conviction, you may be ordered to complete community service. 16. International Travel: Certain countries will not permit you to travel there with a prior DUI conviction (i.e. Canada treats DUI offenses as felonies). 17. Loss of Right to Carry Firearms: The local Sheriff's Office may revoke your carry permit as a result of multiple DUI convictions. 18. Attorney's Fees: While not considered a "punishment," you should factor in the cost to hire a qualified DUI attorney to represent you. 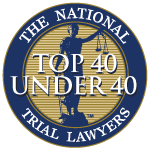 Rates can range from as low as $1,000 to tens of thousands of dollars depending upon the complexity of the case, the necessity of hiring expert witnesses, and related factors. Nonetheless, you should expect to pay no less than $1,500 for representation on any DUI case. 19. Reliance on Arranged Transportation or Public Transportation: If you're trying to get to work without a valid driver's license, you will either need to rely on friends, family or co-workers to drive you to and from work, or have to rely upon public transportation. 20. Impact on Professional Licensure: If you are a lawyer, doctor, nurse, teacher, commercial truck driver, pilot, or in a related field, you may be required to report your DUI charges when seeking to renew your professional license. A DUI conviction could impact your ability to practice in your chosen profession.